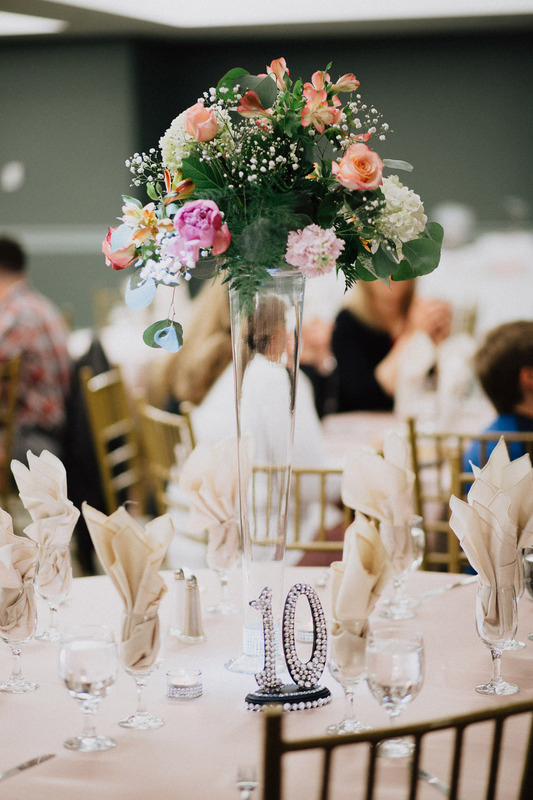 It isn’t often that when we first meet with a bride or groom, they know exactly what they’re looking for in their invitations. That’s why when I got the opportunity to meet with Wesley last summer, she stood out. Wesley, her mother, and I sat down one Saturday morning and discussed the style she was going for – sophisticated and romantic. 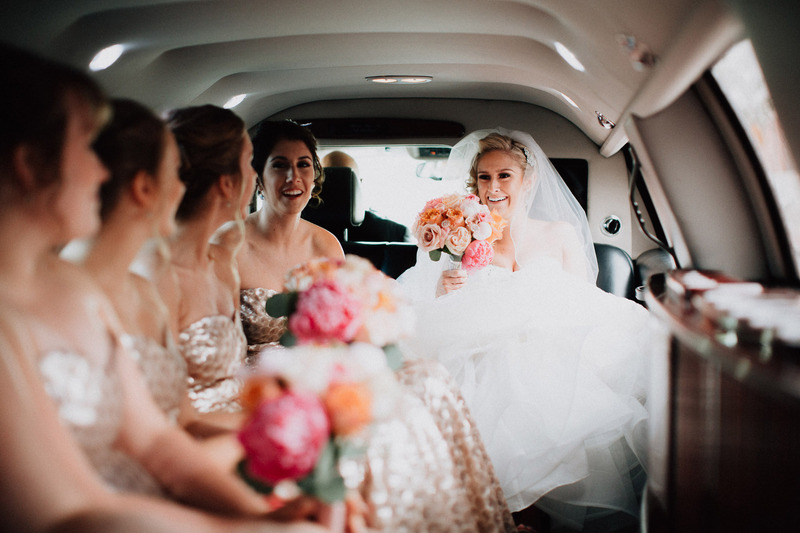 Their navy and gold wedding, with soft hints of watercolor florals, was that and more! 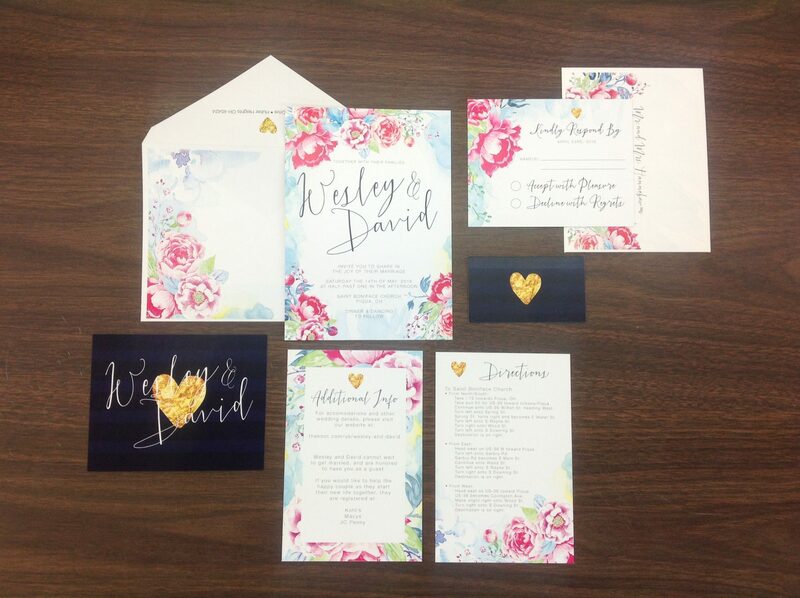 When Wesley was ready to move forward this spring, we created a beautiful invitation set overflowing with gorgeous watercolors and simulated foil accents. 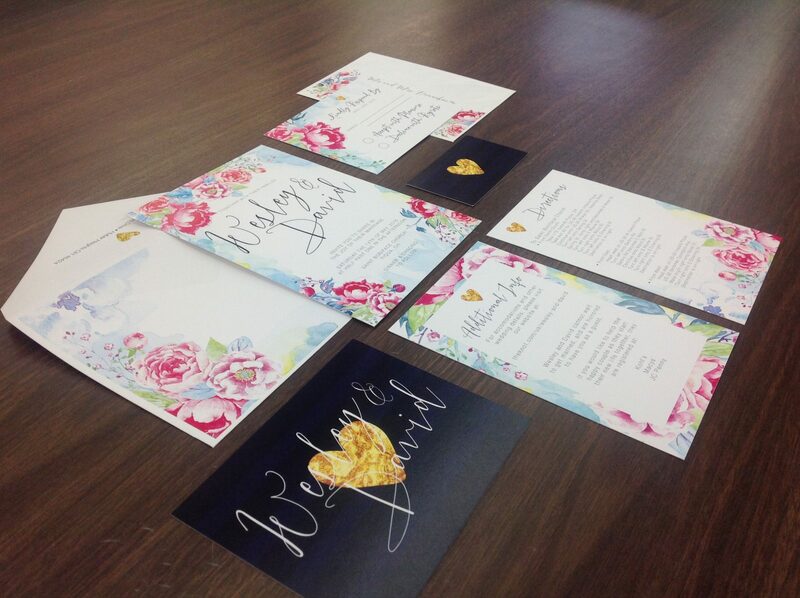 Once we were done with the invitations, we also created their programs and various signage for their wedding day including a welcome sign and seating chart. Every piece was created with either soft, romantic florals or bold stripes for a classy, modern look. 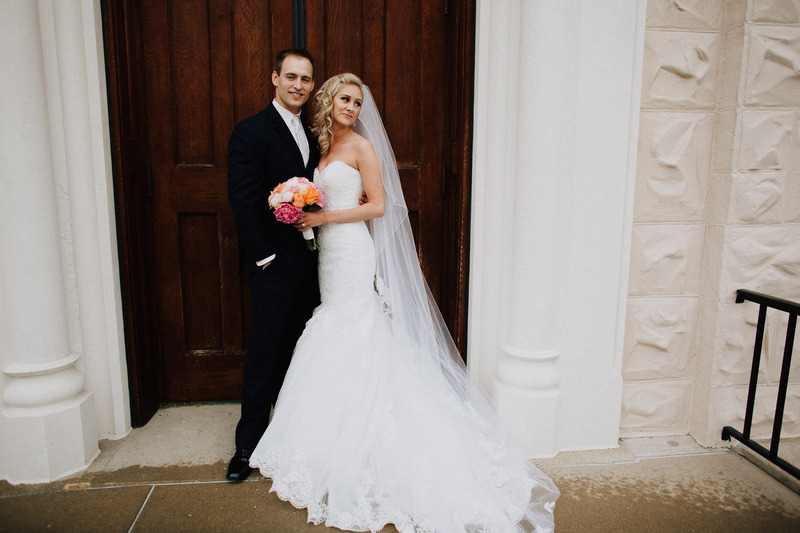 Wesley and David were married on May 14th at Saint Boniface Church, with their reception held at the Fort Piqua Plaza. 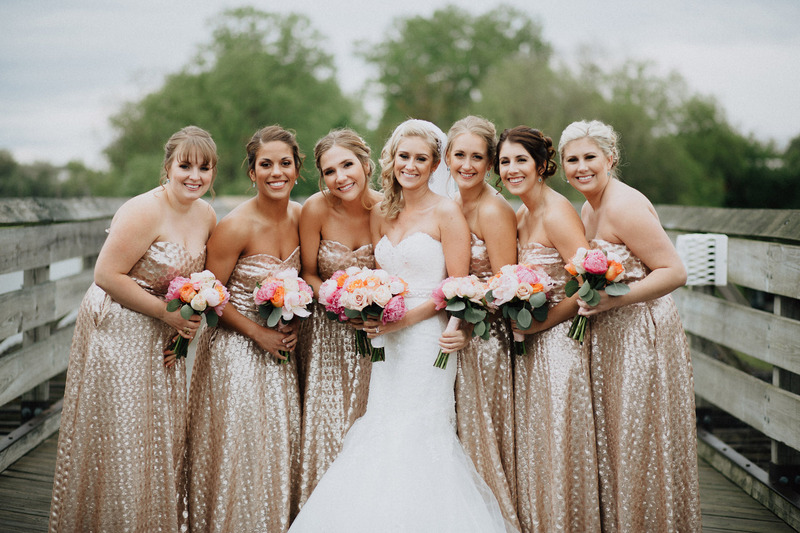 And though it rained on their wedding day, that didn’t stop the happy couple and their glittering entourage from striking some seriously beautiful poses! And of course it was all captured by The Brauns. 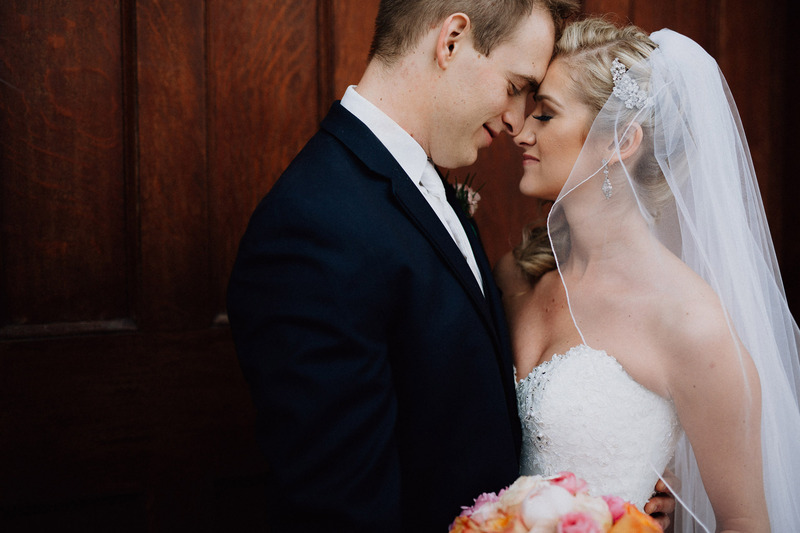 Mindy and Cameron are a photography power couple based in our very own Dayton, Ohio, and they specialize in creating real, jaw-droppingly gorgeous photos that are representative of the couples they photograph. 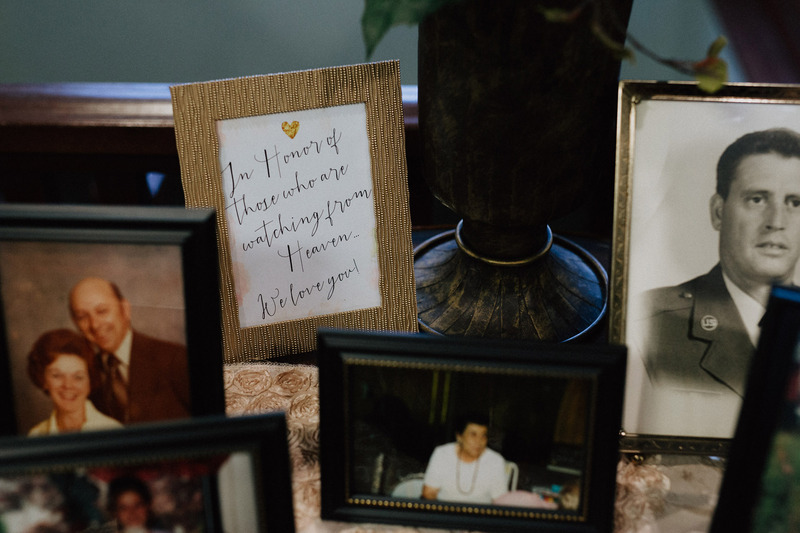 We absolutely love how they are able to capture the real, beautiful emotions on the faces of Wesley, David, and their loved ones as they celebrated their wedding day. 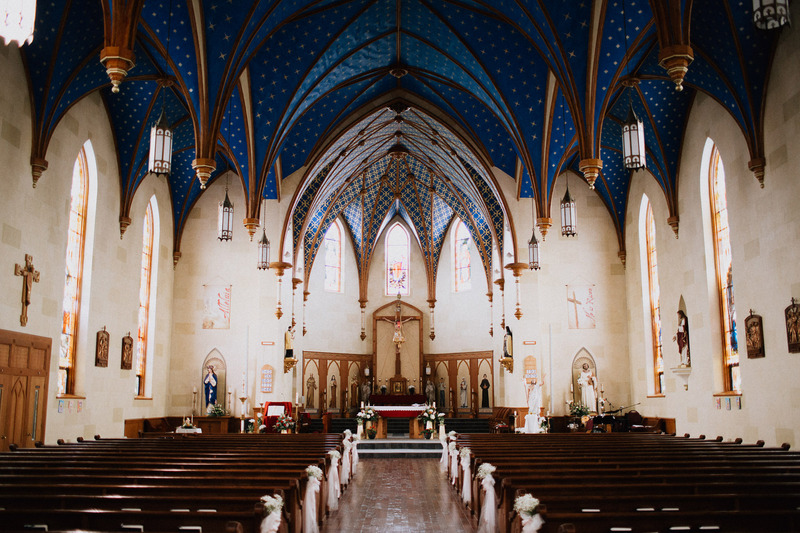 We would like to extend a huge thanks to Mindy & Cameron for sharing their beautiful images from Wesley and David’s wedding! And congratulations to Wesley and David! 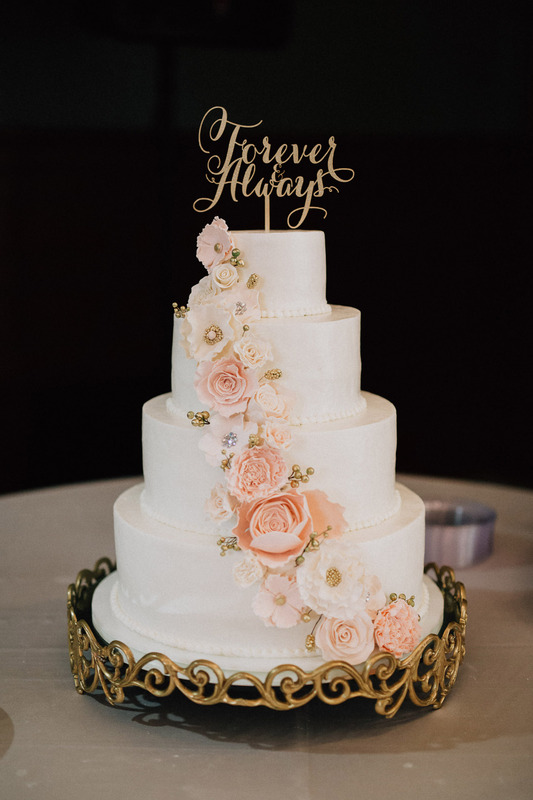 What did you think of this navy and gold wedding? Let us know in the comments!